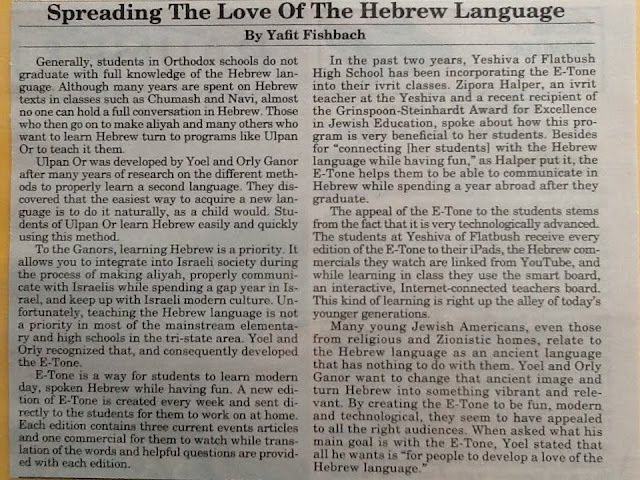 Yeshivah of Flatbush has always incorporated Hebrew in to all of our Judaic classes by teaching I'vrit B' I'vrit. 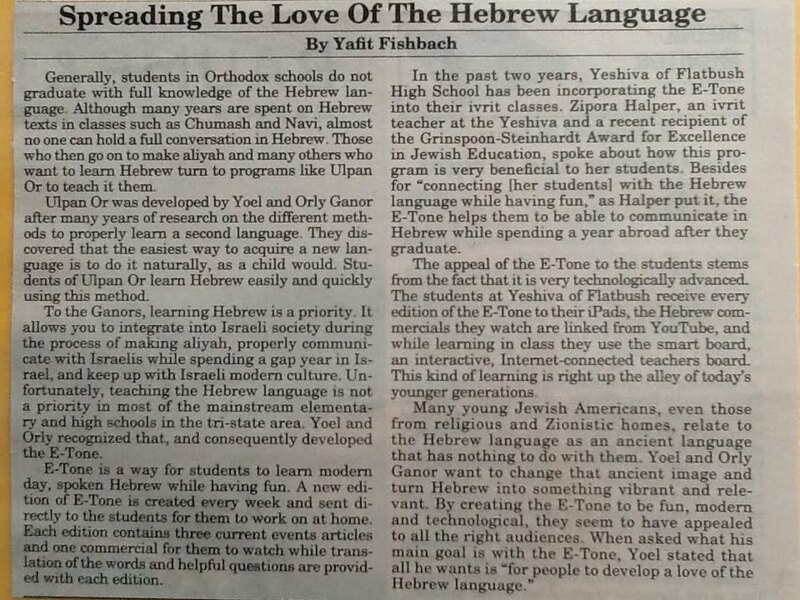 Check out this article, featured in The Jewish Press, about the innovative way we teach Hebrew language with the use of modern technology. I would like to share with you a beautiful and touching card prepared for you by the children of Gan Rashi in Toulouse, France. They were touched by the sympathy you extended to them in their time of grief and sorrow in the wake of the awful terrorist attack they endured. It has taken them time, but with advice of their guidance counseling team, they were prepared to express their gratitude. I would also like to personally thank all of you for the support you showed me in such a difficult time, it meant a lot to me. I wish you a peaceful and safe summer! May 30 was the 24th Annual Awards Ceremony for the Stop World Hunger Essay Contest, held in Farmingdale. We are very proud to announce that juniors Jack Oved took second place and Michelle Wahba tied another student for third place. 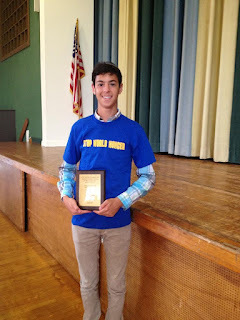 They beat out 65 other schools and more than 2,600 essays! Our annual Arista and Archon assemblies recognize students for their academic excellence and exemplary school service, respectfully. Rachail Kurtz, Coach/Advisor, Soly Idy, Steven Burekhovich- captain, the host - Jared Cotter, Joe Khezrie, Joseph Deutsch, and alternate Mendy Isseroff. 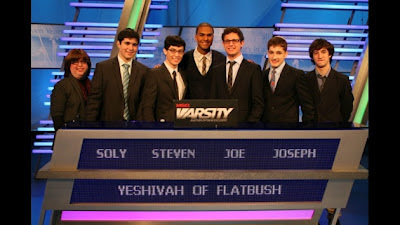 Steven Burekhovich, captain, Joseph Deutsch, Soly Idy, Joe Khezrie and Mendy Isseroff competed on the Cablevision TV academic game show, The Challenge. A rigorously competetive interschool contest, The Challenge, is a test of the depth and breadth of knowledge, ranging from pop culture to complex mathematical problems, as well as quick buzzer-finger reflexes. After defeating the best and the brightest of other Brooklyn schools and winning the vaunted Brooklyn Championship, bringing home $2,500 and a trophy, the Flatbush Challenge team made it all the way to the Tri-State regionals. 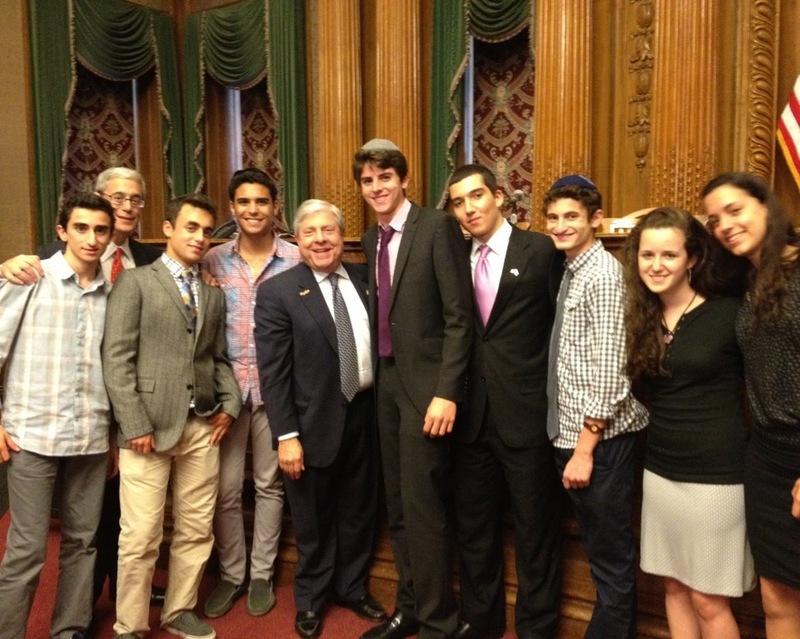 Congratulations to the Challenge team and to Rachail Kurtz, the Challenge coach/advisor.